I love Pinterest, but it has made me question the function of fashion blogging. Why should one try to whip up the traditional "Inspiration Posts" when it's so easy to share mind-blowing visuals without usual, useless crap about how this makes me feel like that pop song and how I wanna look like that in the autumn and oooh I wish I only had her legs? A blogger's existential crisis, if you will. But sometimes one happens on something so exceptional one can't keep her mouth shut. These pictures were shared by Rodeo magazine's exceptional fashion journalist Agnes B. Salvador Dali took the entire control of the French Vogue's December issue in 1971. 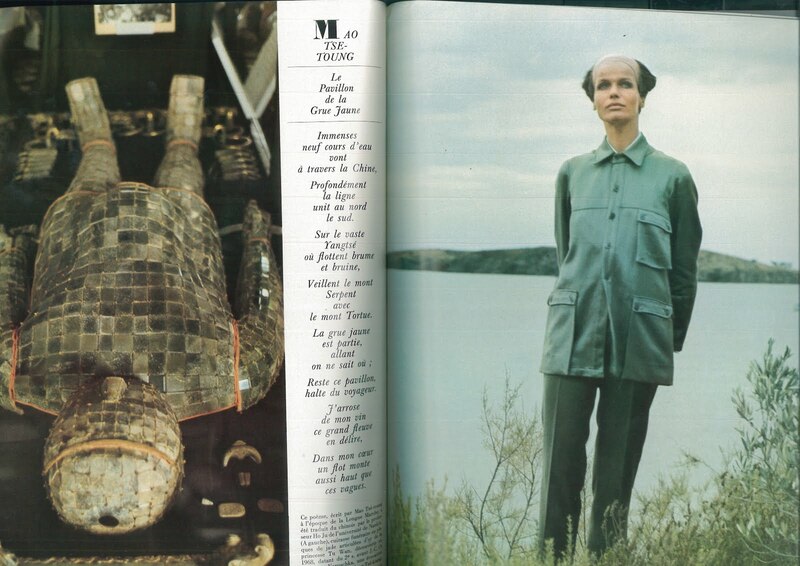 The fashion editorials, articles, even the adverts were masterminded by the artist. A recurring theme seems to be the Chairman Mao - surely a commentary of Warhol's work on the same iconography at roughly the same time? 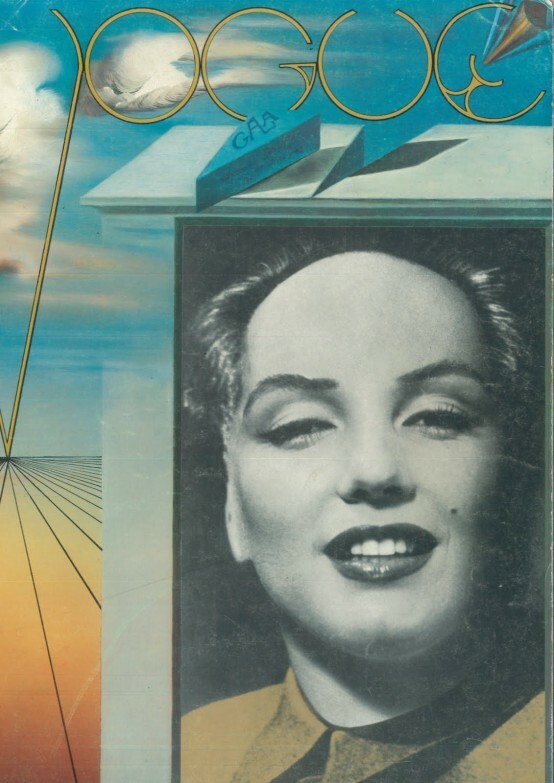 The cover mixes two pop art icons, Mao and Marilyn. The Revillon ad with children is deliciously creepy, and yes, surreal. The British and French Vogue still sometimes put up interesting collaborations with visual artists. Dear Finnish magazine editors (I know some of you are reading), how about following suit? Mao suit.